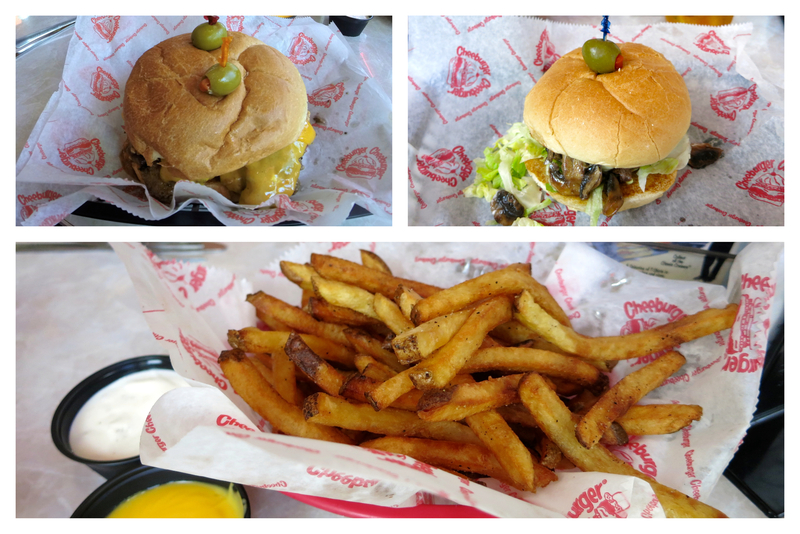 Day 9 of 100 Things to do on Sanibel & Captiva takes us to Cheeburger Cheeburger for lunch. This restaurant has become an international franchise, but most people don't know that it all started on Sanibel where it built its first location. They have since moved from its original location on Sanibel to its current home in Tahitian Gardens. The restaurant is known for its grilled to order burgers and delicious milkshakes. When you step in the doors to Cheeburger Cheeburger you are immediately transported to a 1950's burger shack filled with classic memorabilia, 50's tunes playing, and even a milkshake bar. 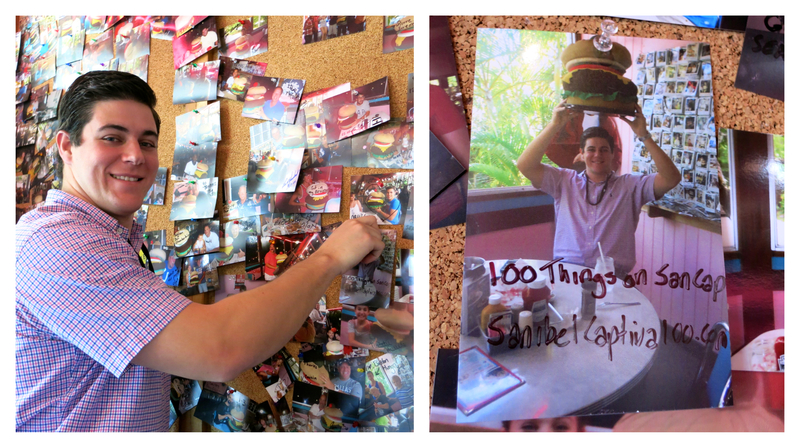 Photos also cover the walls of victors brave enough to complete their Burger Challenge: finishing a 20 oz burger. Once we were seated and had a chance to look at the menu. What's great is the number of toppings Cheeburger Cheeburger offers to customize your burger. Brendan decided he wanted to tackle their burger challenge and he added cole slaw and A1 to top it off. I opted for a smaller option, ordering the Classic Burger (1/4 lb) and I added mushrooms, lettuce and swiss cheese. We also ordered fries and got a side of Creamy Cheese and Creamy Jalapeno sauce to dip them into. For a drink we decided to share the Oreo Milkshake. 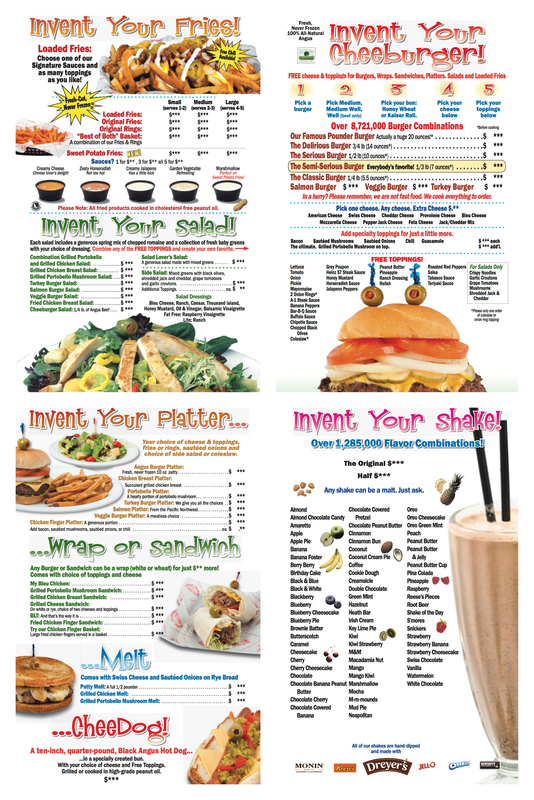 Click below to download the Cheeburger Cheeburger menu. When our waiter brought out our Oreo Milkshake, and we had a sip we knew we were in Milkshake Heavan! There was no doubt in either of our minds that this was the BEST MILKSHAKE WE HAVE EVER HAD! It was creamy and perfect and had real chunks of Oreo mixed in. Cheeburger Cheeburger says that they have over 1,285,000 combinations of milkshake flavors and we suggest you attempt to try them all. I was worried that the milkshake had filled up Brendan when our food arrived. Remember he had to finish the 20 oz Burger Challenge. The food looked and tasted amazing. Brendan's burger was about 4 times the size of mine! The fries were perfectly cooked and were delicious in the cheese and jalapeno sauces we ordered. Be sure to use their special seasoning on the fries that they put on every table. The burgers were well seasoned and juicy and were cooked to perfection! 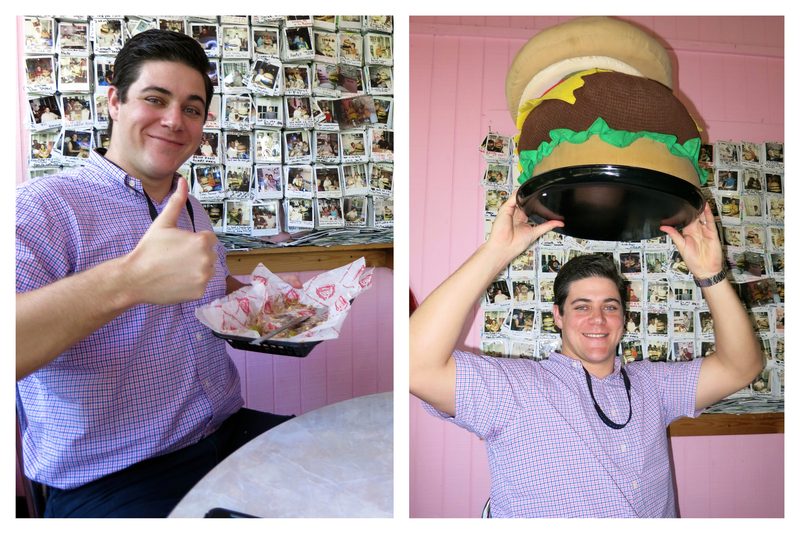 Now if you are wondering if Brendan completed the Burger Challenge... if that milkshake filled him up... have no fear: Brendan finished the Burger Challenge at Cheeburger Cheeburger! Now I wouldn't recommend this challenge to just anyone. Brendan is 6'6'' and was a football player in college, so he can eat. I was loosening my belt after only eating a 1/4 lb burger. But if you think you can handle a 20 oz burger, give their burger challenge a try! When you go, be sure to look for Brendan's picture on the wall! 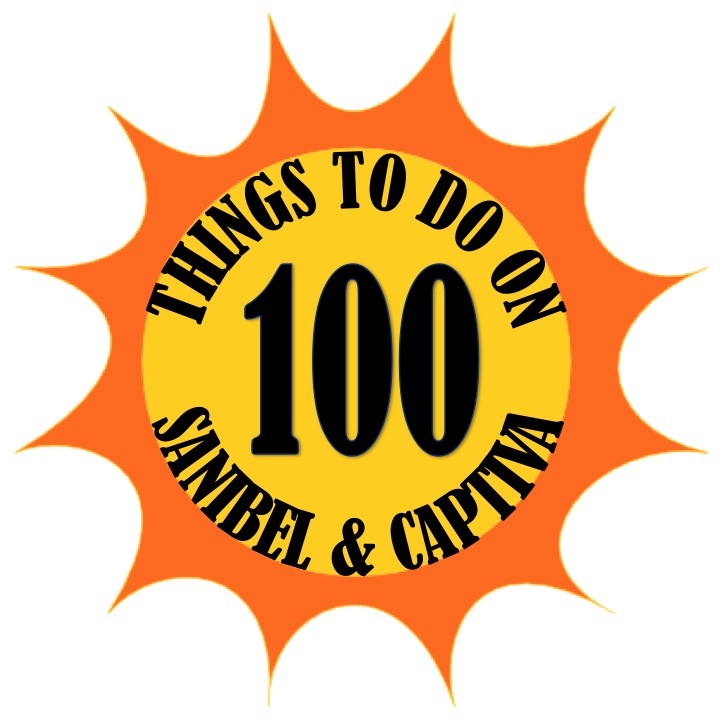 It has 100 Things to do on Sanibel & Captiva written on it and is hanging next to the host stand. We had a great lunch at Cheeburger Cheeburger and definitely suggest you eat there (and definitely order a milkshake)! For more information be sure to check out Cheeburger Cheeburger's website as well as Cheeburger Cheeburger's Facebook page.